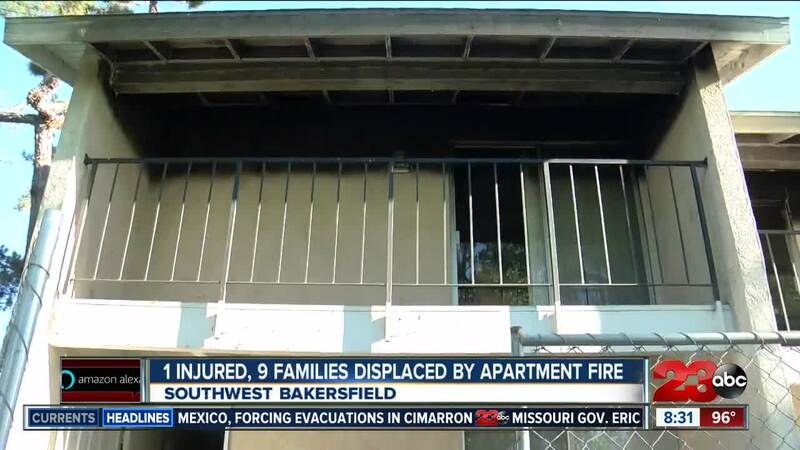 Bakersfield and Kern County Fire crews put out a two-alarm apartment fire in southwest Bakersfield Sunday morning. 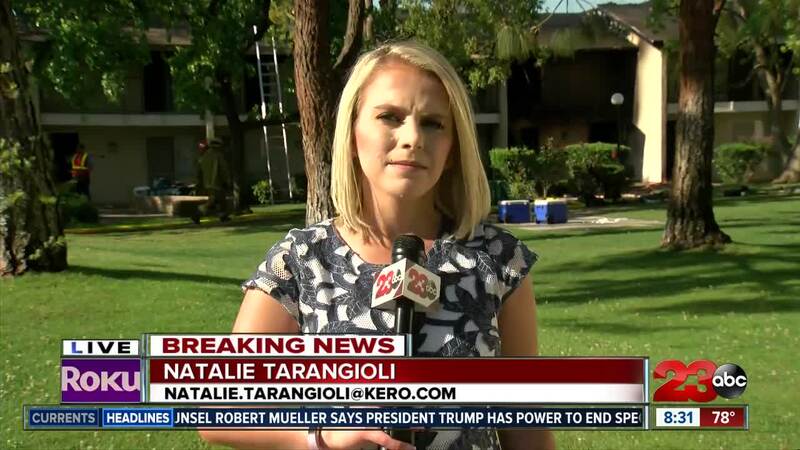 The fire broke out in both the first and second stories of the Stockdale Garden Villas just after 7 a.m., according to Bakersfield City Fire. The apartment complex is on Winston Drive and Lennox Avenue, just off California Avenue. Thirty-five firefighters worked to put out the fire within about an hour and a half. Officials say one man was hospitalized for burn injuries and is in critical condition. A woman suffered smoke inhalation but refused medical treatment. Red Cross is assisting the nine people that were displaced. Eight units at the complex are uninhabitable due to smoke and fire damage, BFD said. Cindy Huge with the Bakersfield Red Cross and her team of volunteers provided those families assistance in lodging, food and clothing. Arson investigators are working to determine the cause of the fire. If you want to help any of the families click on Kern County Red Cross .